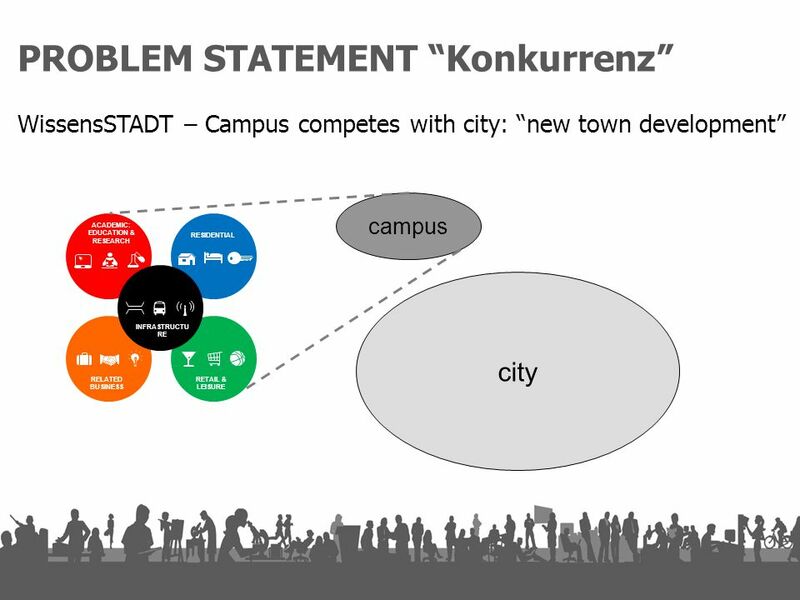 Der Campus der Zukunft Lektionen Stadt-Campus-Raum Dr. ir. 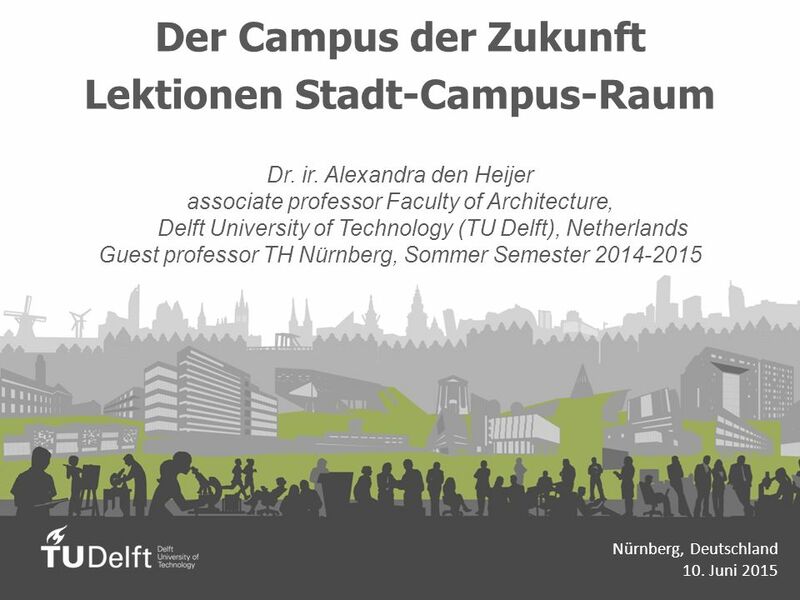 Alexandra den Heijer associate professor Faculty of Architecture, Delft University of Technology. 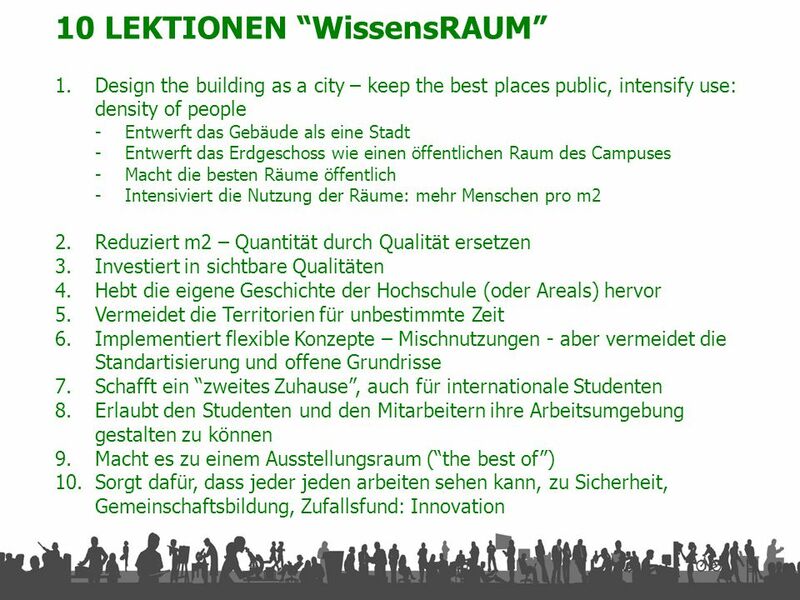 6 PROPOSITIONS - WissensSTADT 1. 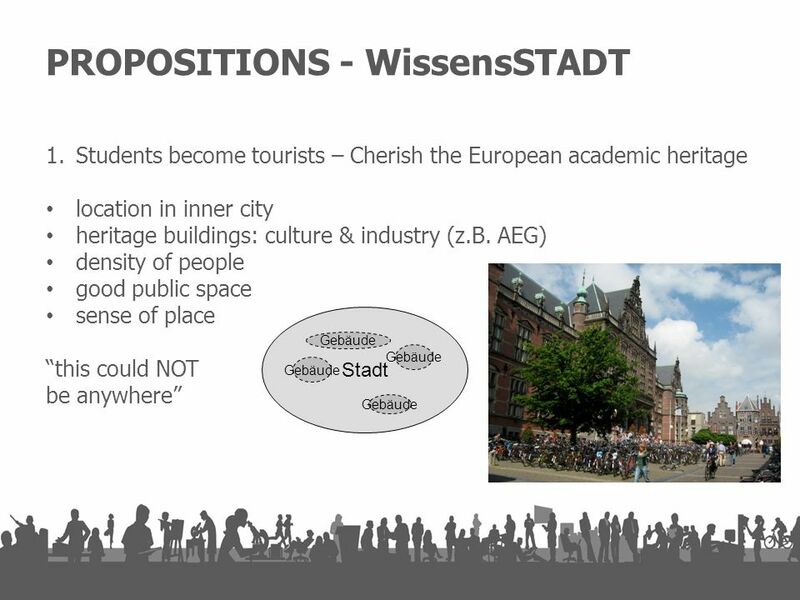 Students become tourists – Cherish the European academic heritage 2. 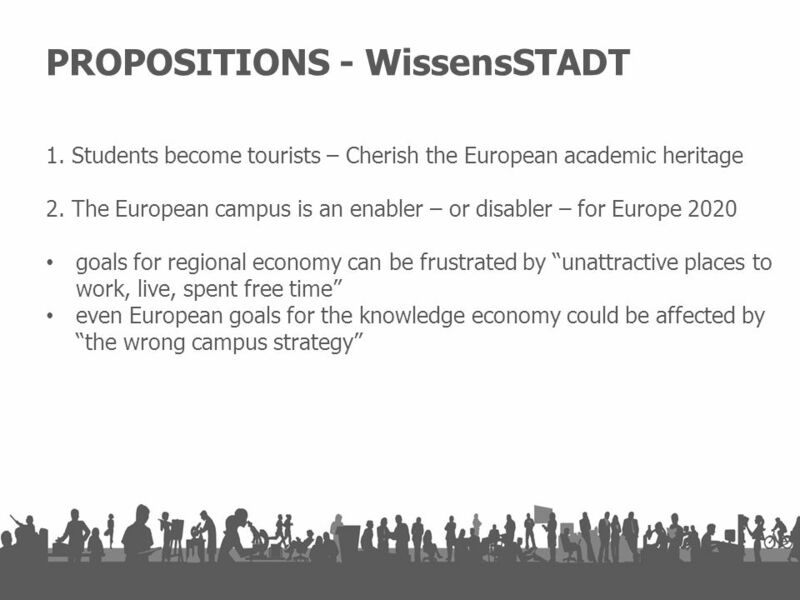 The European campus is an enabler – or disabler – for Europe 2020 3. 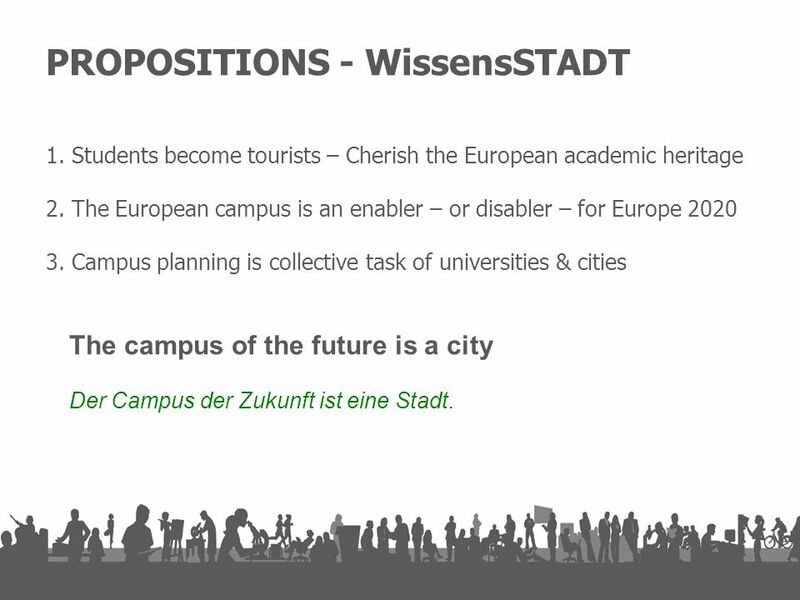 Campus planning is collective task of universities & cities The campus of the future is a city Der Campus der Zukunft ist eine Stadt. 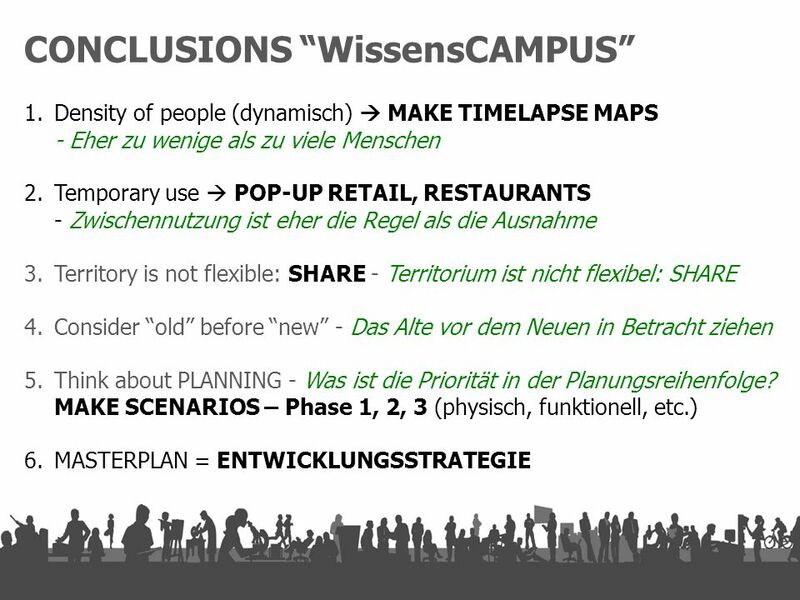 Herunterladen ppt "Der Campus der Zukunft Lektionen Stadt-Campus-Raum Dr. ir. 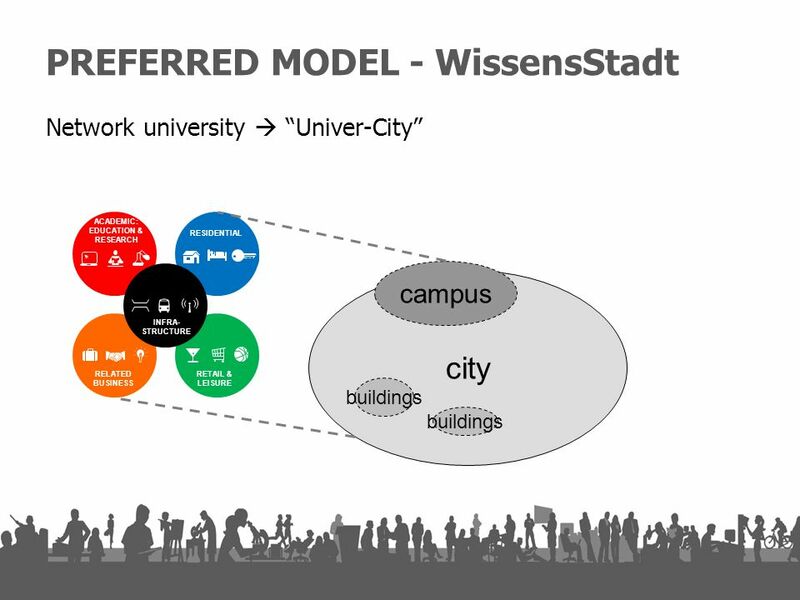 Alexandra den Heijer associate professor Faculty of Architecture, Delft University of Technology."